How to get the backup code in Google? How to use Backup codes? Some days come to test us. May be its such a day and you lost your phone. You cannot call your boss to inform that you’ll be late. But yeah! You have your laptop and could easily mail. 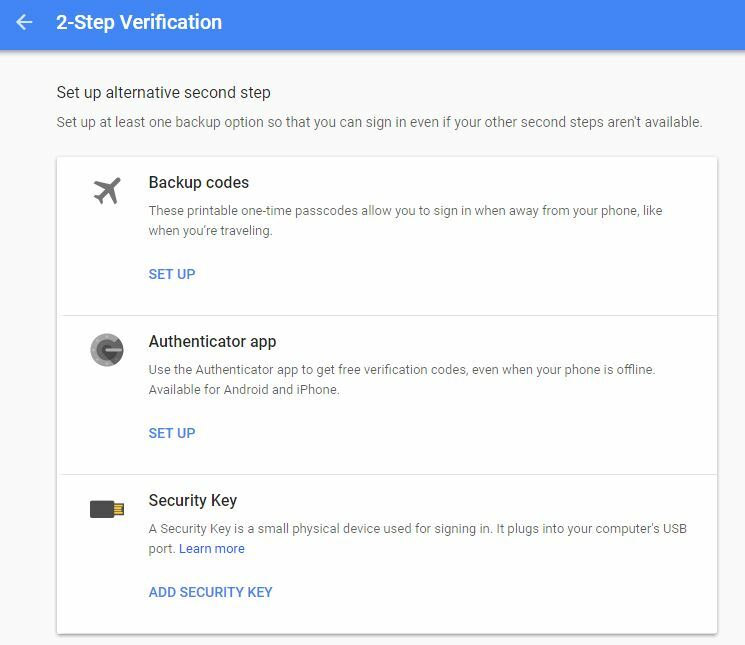 Guess what, you have the two-step authentication in place that calls to your mobile again! Google knows that someday, anytime this will happen. Result: A perfect backup plan with the backup codes. With these codes you can easily pass your authentication, even if your phone is not in reach. A backup code are 8 digit codes that come to your rescue when you are unable to perform account verification using codes via text or voice call. Every time a set of 10 codes are generated on your account page. They remain active until you generate the next time. These codes are one time usable. That means you get to use them 10 times, a new one each time of-course! Go to the 2-step verification page. On validation you will see the page which has the summary of the modes enabled for 2-step authentication. 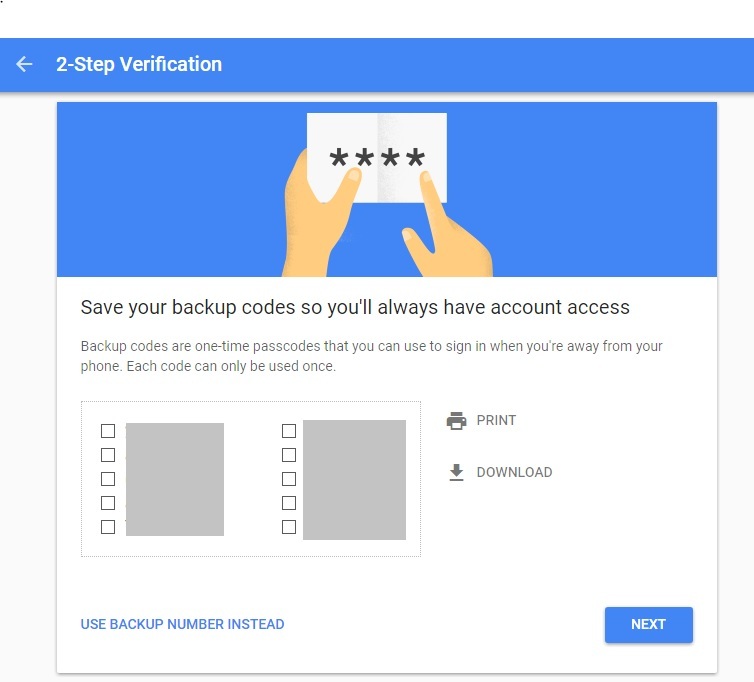 Message/call, Prompt, Google Authenticator and the option of our interest – Backup codes. Now, on selection of backup codes you get a set of 10, 8 digit codes which you can print/download and keep in a safe place for future use! Lookout for the backup codes. You might have a printed those or saved it on your desktop or laptop. 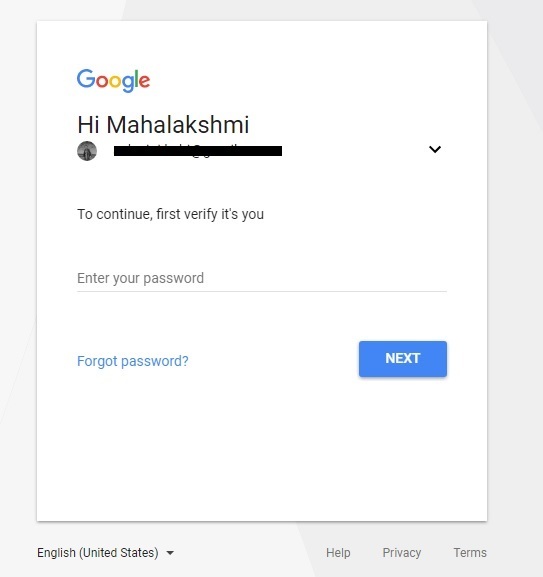 Go to the Google service page that you wanted to use and sign-in with your username & password. You will be asked to enter verification code. Click More options. You may try searching for the file ‘Backup-codes-.txt‘. For example, if your username is tg123, then look out for the file ‘Backup-codes-tg123.txt‘.